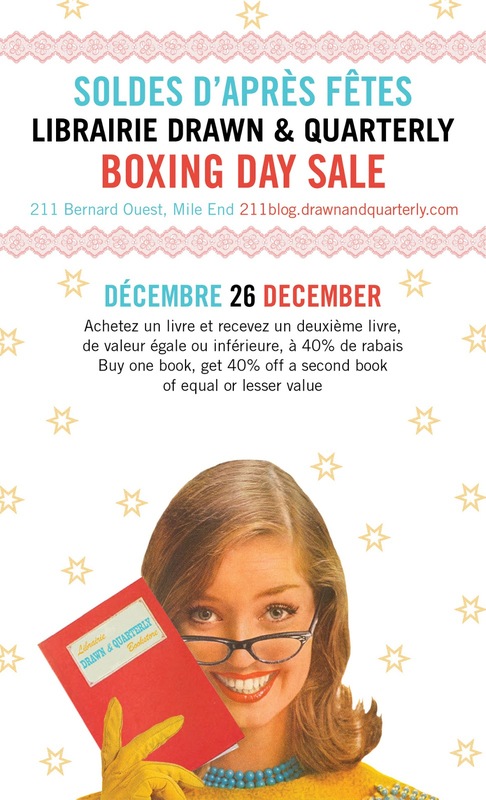 211 Bernard: Solde d'après Fêtes/Boxing Day Sale 2016! Solde d'après Fêtes/Boxing Day Sale 2016! Here's wishing you the very best of the festive season from D+Q! What better way to enjoy the holidays than to get cozy with a new book? We're having a big boxing day sale in store: today only - buy one book at regular price, and get a second book of equal or lesser value at 40% off! If there are still some gaps in your holiday reading wishlist, now is the perfect time to fill 'em! Come say hello to us this boxing day, and get some great reads for a song.